I LOVE PORTOFINO! My favorite dish so far is their Fettucini, it is so well! Nice creamy sauce, with fresh mushrooms and juicy chicken. I am definitely a big fan, if I could I would probably eat there everyday. I've been to Portofino countless times for dinner. I recommend the Calamari for an appetizer and the Penne Patriarca as a main dish. Portofino really IS Bermuda's best Italian restaurant. The friendly waiters, comfortable atmosphere and quality food will have you going back for more. Portofinos is a great place to find great Italian food. A cozy atmosphere with hundreds of pictures of Italy keep you feeling like your in Italy yourself. The prices are good but the service is even better. Friendly, fast and overall a fun dining experience. 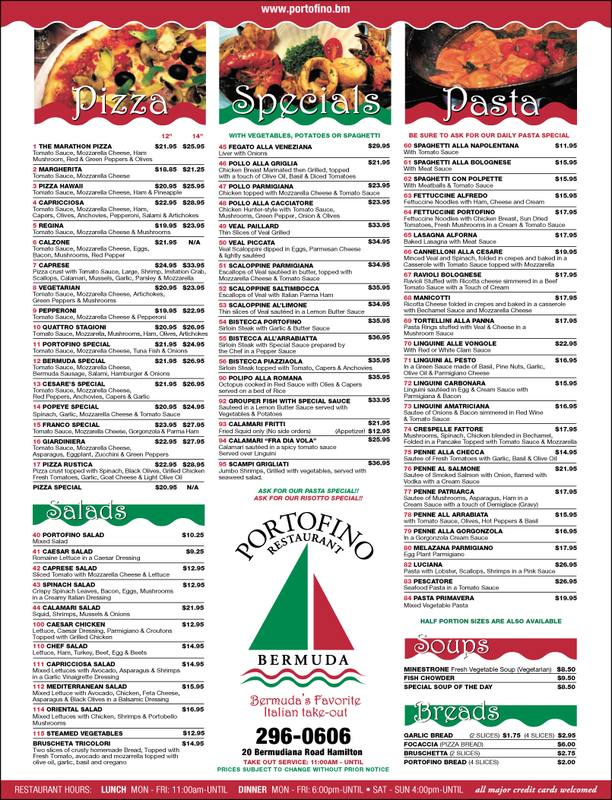 Portofino Restaurant has been Bermuda’s favourite Italian restaurant for over 35 years. 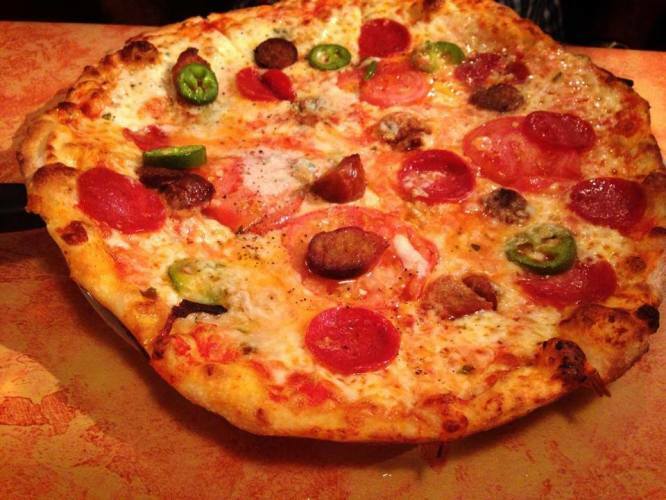 Serving delicious pizzas, homemade pastas, fish and daily special dishes. 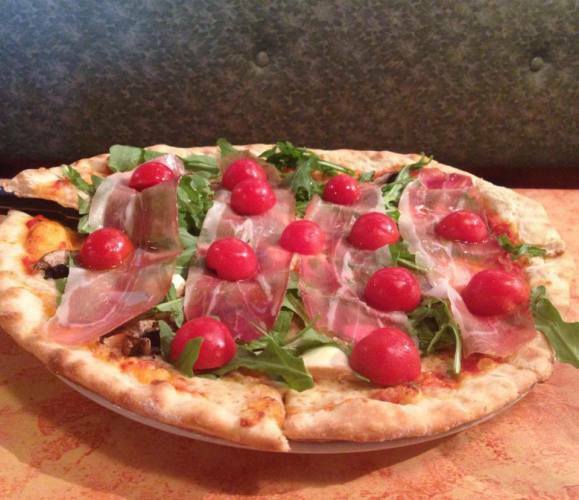 You will delight in their high octane bustling, Italian restaurant and friendly atmosphere. Alfresco dining is also available. Mid Atlantic Bulk Carriers Ltd.